Although many First Ladies were not advocates for women’s rights, plenty of these women played important roles in breaking stereotypes of their time and pushing boundaries both politically and socially. I was also recently asked by a patron to recommend titles for her children that depict strong, independent women from history, particularly the realm of government. What a wonderful question! Inspired by Krull’s book and this stellar reader’s advisory moment, I have listed some of my favorite books about brave, influential American women who challenged what was expected of them, and so much more. Check out my top five picks below! A Kid’s Guide to America’s First Ladies by Kathleen Krull; Illustrated by Anna DiVito. 2017. An interesting, well-researched, and even handed collection of First Ladies throughout American history beginning with Martha Washington and ending with Melania Trump. Asides throughout the book list important events in the women’s rights movement which provides helpful context by which to think about each First Lady. When Marian Sang: The True Recital of Marian Anderson, The Voice of the Century by Pam Muñoz Ryan; Illustrated by Brian Selznick. 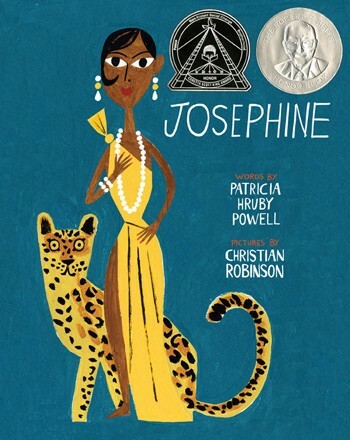 A longtime favorite of mine combining two superstars of the children’s literature world who provide a beautiful introduction to one of America’s most important singers. 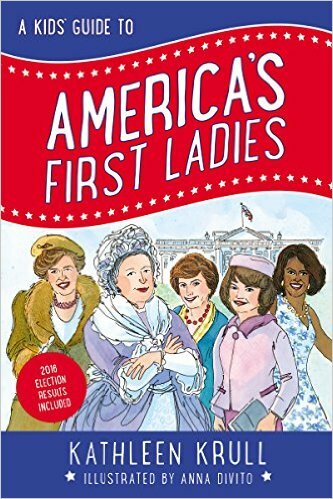 Marian is mentioned various times throughout A Kid’s Guide to America’s First Ladies too! Hillary Rodham Clinton: Some Girls Are Born to Lead by Michelle Markel; Illustrated by LeUyen Pham. 2016. Another picture book biography that is well-researched, beautifully illustrated, and inspiring. Pick this up after you read about her accomplishments in Krull’s book. I Dissent: Ruth Bader Ginsburg Makes Her Mark by Debbie Levy; Illustrated by Elizabeth Baddeley. 2016. The Notorious RBG is the focus of this stellar biography, which was released last year. I love that the story emphasizes that women who disagree are not disagreeable people! This is an awesome story to inspire young readers to not be afraid to stand up for what they think is right. Of course, there are many other titles I could list here. 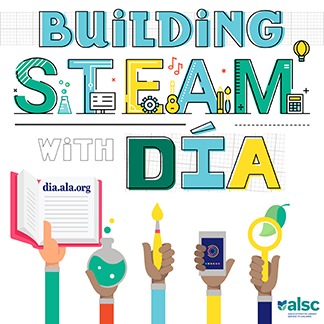 Be sure to check out the 2017 Amelia Bloomer Booklist that was just released last month! In the words of the second First Lady and “Mrs. President” herself, Abigail Adams, I would ask you to remember the ladies next time you head to the shelf. How funny! This appears to be a topic on many of our minds. Thanks for sharing this article! Very timely since March is Women’s History Month, thanks! Thanks so much for the shout-out, Nicole. I’m so glad you liked the book and that it inspired you to compile this lovely list. Yes, Remember the Ladies!!! Thank you so much Kathleen for the wonderful book! 🙂 It was such fun to read.